Mulching has many benefits. It reduces weed growth, retains water, nourishes plants, and helps flower beds stay cool in the summer and warm in the winter — just to name a few. Mulching also gives your yard a polished and structured look. 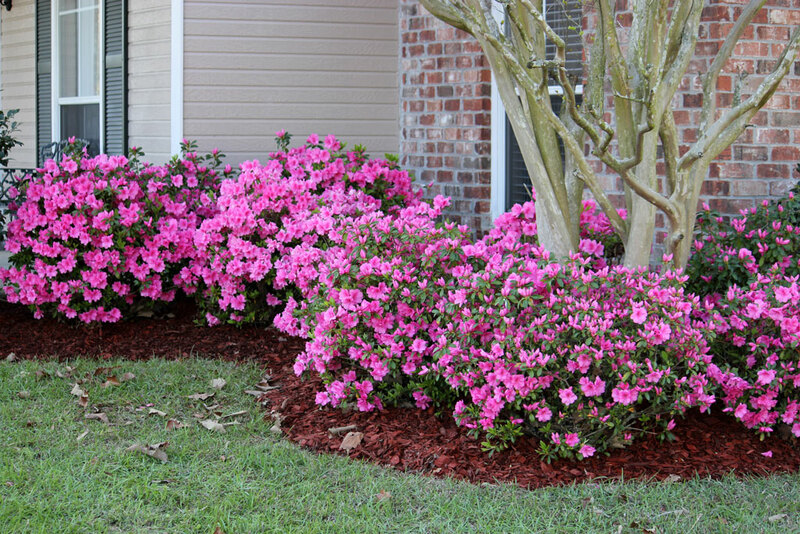 Installing mulch in all flower beds often reduces the frequency of flower bed maintenance. Mulch also helps retain the moisture needed to maintain healthy shrubs. Note: applying too much mulch around certain flower types may lead to root rot and fungus. Our lawn care staff is fully trained and only use professional grade tools. We sharpen our blades every day to ensure the best cut possible every time.